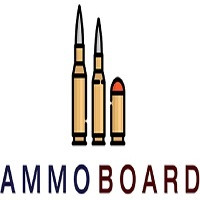 Ammo Board is your one stop shop to buy bulk ammo online for your Rifles, Handguns, Rimfire & Shotguns only in bulk or case quantity. Free shipping available on all cheap ammo orders with Great, Safe & Secure services! Top brands available : Wolf Ammo, Winchester Ranger, Winchester Pheasant, Federal Gold Medal, Federal Nosler Partition and more. Special deals on; 22lr ammo, 9mm ammo, 223 ammo and more. Order now!